Uuni is powered by wood pellets which are very energy-dense and cheap; they’re like regular wood except compressed. No additives, no hidden extras. Just wood. The pellets ignite easily and Uuni takes just 10 minutes to heat up, from cold to 932°F. Uuni is made of beautiful brushed stainless steel. It weathers and ages as you use it but it just keeps on performing. 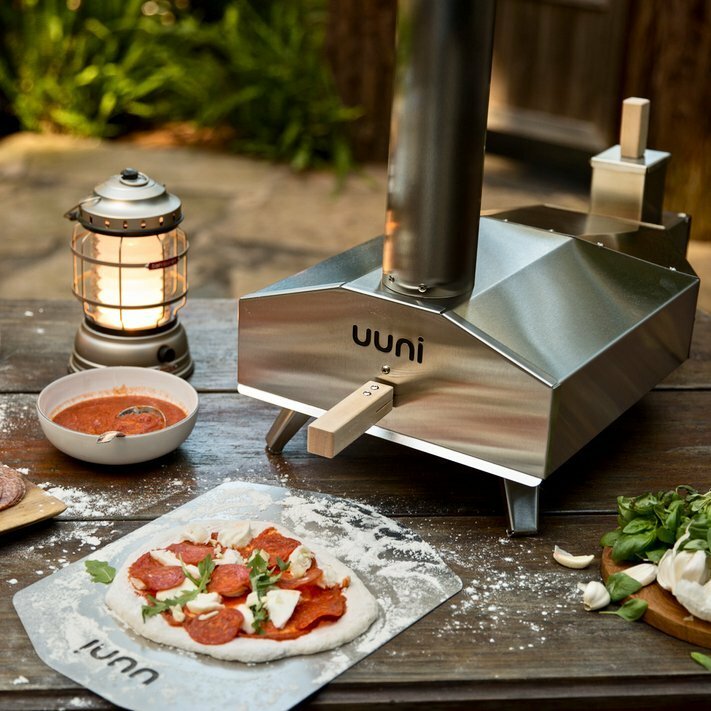 It’ll make for a key feature in your outdoor kitchen or barbecue area and you can use the Uuni 3 Cover / bag to keep your Uuni 3 looking pristine. All Uuni products that contain wood have been responsibly sourced and we plant a tree for every Uuni 3 and bag of Uuni Pellets sold. Read more about the Uuni sustainability project here.